Introducing a new label by the name of MILLBRANCH MUSIC here is their second release. Out by the end of September 2010 this will be a factory pressed cd (no cdr!!!) limited to 500 copies with an 8 page booklet containing lots of photos and different original 1976 Seattle newspaper articles from before and after the concert. 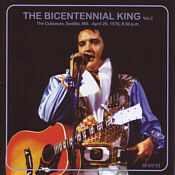 The sound is quite good for an audience recording and Elvis is delivering a fine show, being in good spirits. 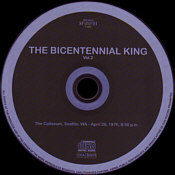 This show has NOT been out yet on factory pressed cd. 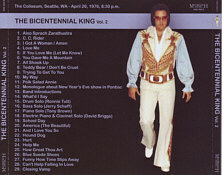 All you fans out there know what to expect from Elvis´ Seattle 76 show - so if you are interested be advised to get your copy as soon as you can. Concert: It`s a good show out of one of the last good tours. (Ciscoking).